These cupcakes are delicious, I love Kinder Buenos! 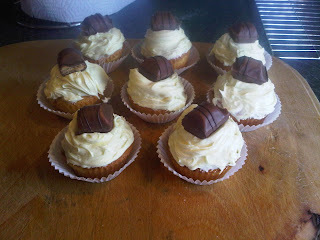 Post Blog update- I remade these properly, try here! 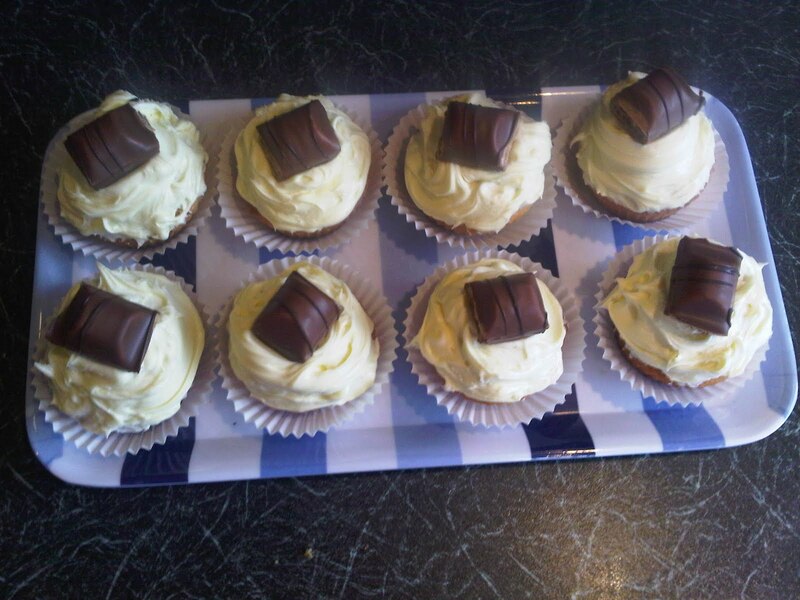 I had an hour to whip up this batch of cakes and figured that some Bueno, no matter of the form it came in, constituted them being called Kinder Bueno cupcakes. 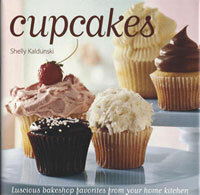 The recipe is just a basic vanilla sponge from a book my dad picked up for me- Cupcakes by Shelly Kaldunski. Although the recipes are a tad tricky and complicated, the book contains sections on ingredients and supplies you'll need, how to fill and frost cupcakes and ideas for decorations. Alongside this, she's categorised her cupcakes for easy finding. As a last note, Bueno doesn't work in this sort of cupcake. It dried out after a day and was most unpleasant! Gradually add the salt and the butter, a few pieces at a time and beat well after each addition. Continue to beat until smooth and creamy, it may appear liquidy after the addition of the butter so keep beating! oh wow, I NEED TO EAT THESE NOW!! !